Recently Facebook update his app and introduce an amazing feature for his users with the name of “360 degree 3D Photo”. 360 degree 3D Photo on Facebook, allows you add and share special moments with lifelike dimension in News Feed and VR headsets. This feature is now available for Facebook users to easily create and share any 3D photo. With the latest feature you can capture the distance between the subject in background and foreground, with 3D effects. Facebook comes with different and useful features. Sometime when you accidentally lost any photos, videos, messages, contact list and other important information from your account. This guide allows you to retrieve deleted Facebook photos, videos and messages without any extra effort. Facebook latest 360 degree 3D Photo feature allows you to create and share 3D photos to their news feed and VR handsets, using the portrait mode in your device. Facebook display your 2D photos in 3D view, with depth information between the subject in the background and foreground. Along with iPhone the Facebook 3D feature available in latest Android flagship smartphone which comes with dual camera setup on the backside. You can create, view and upload 360 degree 3D Photo at your latest Android flagship smartphone or iPhone. If you have lite version of Facebook then latest with latest and full version of Facebook app. If you have lite version of Facebook then you are not able to create 3D photos on Facebook. Step 1: Turn-on your full version updated Facebook app. Step 2: In your active Facebook window, click in message box where you can see “Whats on your mind”. Scroll down your Facebook screen and locate “360 photo” option in your device. Step 3: Click on the Capture button and move slowly your Android phone. Start to capture your image in 360 degree 3D view. After capture 360 degree 3D photo, wait to finish this process. This process will take some time so finish this process. 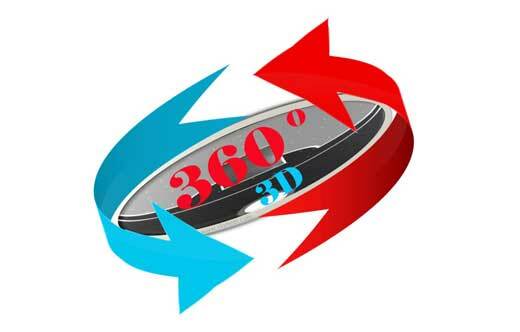 Now your 360 degree 3D Photo ready for publishing on Facebook. . Finally tap on the Share Now button to post your latest 360 degree 3D photo. Facebook is very popular social networking website around the world. Sometime we need to download Facebook videos in HD quality but don’t know what is the process. There are lot of website allows you to online download Facebook videos or use any third party software. Facebook allows his registered users to post his comments, share images and post any interesting content on the web. You can also start live chat, watch any short-form video. In this guide we have to discuss a simple way from which you can easily download any required Facebook videos at your Android or Computer. You can shared content publicly, or it can be shared any message or video in group of friends or family, or with a single person. There are lot of person daily surfing on the Facebook and spend his vacant time. Nearby Friends feature on Facebook allows you to find your friend location when they are nearby. You can easily use Nearby Friends feature on Facebook at your smartphone.You can easily track your all Facebook friends real time location at your Smartphone. You can also quickly meet your nearby Facebook friends. First you must have to turn on Nearby Friends feature on Facebook at your Smartphone. You must check if you are using lite version of Facebook then you are not able to get the benefit of this feature. If you have full updated version of Facebook then you can get the benefit of Nearby Friends feature on Facebook account. You can easily use this feature either on your Android phone or iOS as per your need.